A clear silicone that can be used for sealing, caulking and bonding. 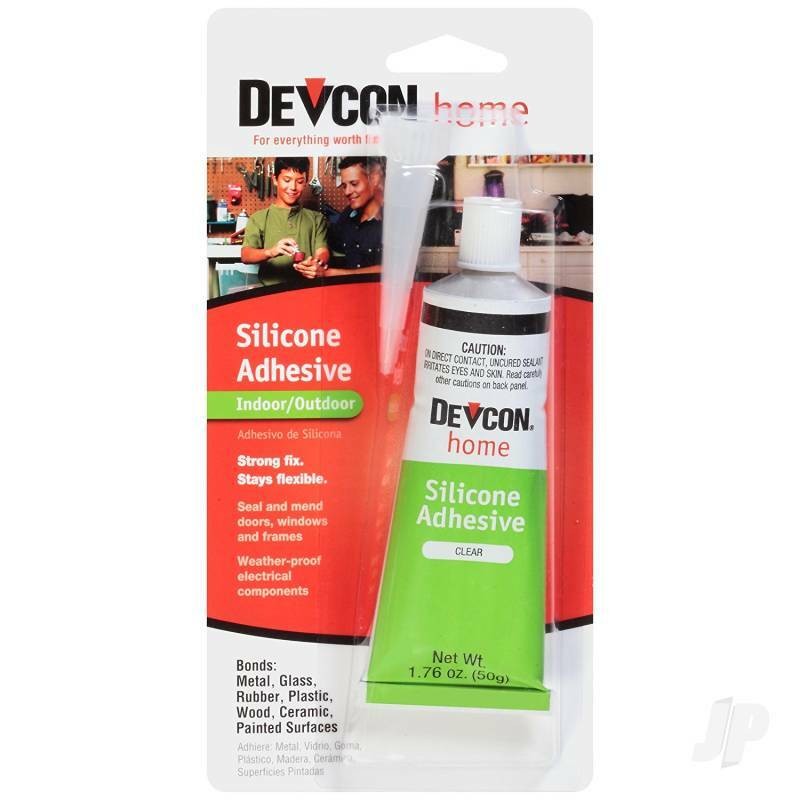 Devconhome Silicone Adhesive is a clear silicone that can be used for sealing, caulking and bonding. Forms a tough, flexible and waterproof seal that resists aging and weathering without hardening. Use it to weather-proof electrical components, seal or repair windows, door frames, vinyl tops and more.